The Nettles Harris Law Firm & Dispute Resolution Services PLLC is at your service. We offer reliable advice and representation in legal matters concerning a variety of disciplines. To learn more about our legal practice and its fields of focus, please visit our Services Page. Linda Nettles Harris, the leader of our firm, has over 20 years of federal jury trial experience as an Assistant United States Attorney who tried more than 70 civil law and criminal law jury trial cases. She also served as a federal judicial law clerk to a respected Jurist, the late Jerome (Jerry) Turner. Mrs. Harris has experience as a state judicial law clerk and as a litigator in Federal Courts, Tennessee State Chancery, Circuit, and General Sessions Courts. Her trial skills are superb and give her unique insight to serve as an effective Mediator and Arbitrator. 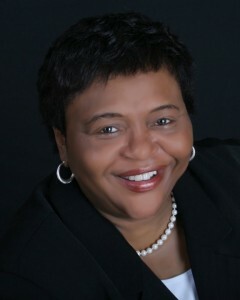 Ms. Harris is a Tenneesee Rule 31 General Civil Law and Family Law Listed Mediator, a Public Arbitrator with FINRA(Financial Industry Regulatory Authority), and is a commissioner on the Tennessee Supreme Court Alternate Dispute Resolution Commission. This site was designed by Omar Owens.